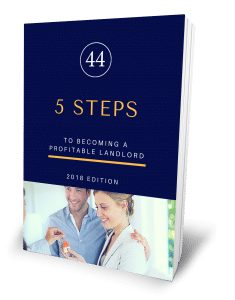 How much will my property rent for is the question every investor wants to know, and if it’s not executed correctly by your property manager it can significantly impact the profitability of your investment property. Whilst starting with a search of comparable properties on websites such as realestate.com.au is great to see how much similar properties in your area are being advertised for, it should not be the deciding factor of how your property is priced when going to market. The agency you appoint to manage your property should produce a Comparative Rental Analysis (CRA) using property data software. A CRA will show exactly how much similar properties rented for and how long they took to rent. Secondly, genuine experience comes into play when providing you with an accurate rental figure, as the age of the property, how well it’s been looked after in regards to whether the paint is fresh or peeling, if the carpet is new or stained, if the kitchen and bathroom is modern or out dated are all factors that determine whether or not your investment property meets market demand and how much tenants will be happy to pay to live there. While current rental listings provide a view of competing properties to yours, they should not be the only source of data for how you price your property for rent. How much a property is advertised for is not always the price it rents for and sometimes the difference can be quite significant. A $10 price drop means lost revenue of $520 per annum, however a property that sits priced above fair market value for 2-4 weeks can often exceed that amount. Correct pricing therefore, is vitally important. As you can see, when considering who will be your managing agent, it’s vitally important to take into account their experience, professionalism and expertise in property management and not just look to find the lowest management fee as this can end up costing you a lot more.